Terrior is a concept that divides opinion. For the proponent, the term is a catchall for the environment that makes up any viticultural site. Winemakers will talk of the importance of the soil, the site of the vineyard and the microclimate of a particular area, all adding to the unique character of a wine. In Burgundy, the belief in terroir is such that when labeling a wine, they use its geographical location ahead of the grape variety. In their eyes, the vineyard and the village where it is produced are of more significance in the overall character and flavor of a wine than the variety planted. Speak to a winemaker such as Paolo di Marchi in Tuscany or Alain Moueix in Bordeaux and they will talk of a wine expressing the character of where it comes from. In France, the notion of terroir finds its ultimate voice in law. 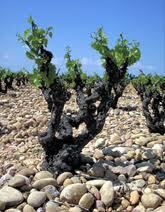 The words Appellation Contrôlée guarantee that the wine will reflect the character of the region.